SERVPRO of Galveston Island / Lake Jackson production crew hard at work training. In order to stay on top of the most efficient ways of doing what we do, we hold weekly training on all things from safety, equipment, process and procedures and new things the industry has to offer! Soot cleaning is a tedious and time staking endeavor. Each pass with a special sponge is just that. A new sponge must be used with each removal swipe! This ensures the soot is captured. Oh, and this is done multiple times! 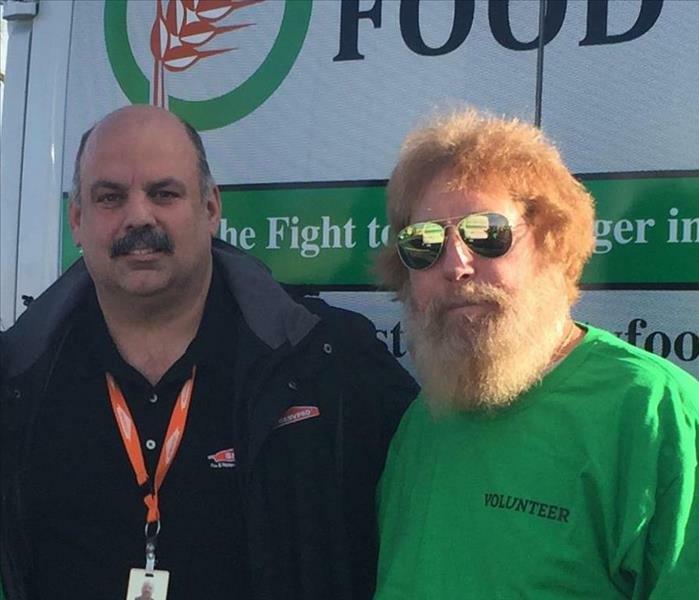 Pictured with Keith Thompson are 2 of many volunteers for the Galveston Food Bank. After a tour of the building we had the ribbon cutting ceremony, nice day had by all. 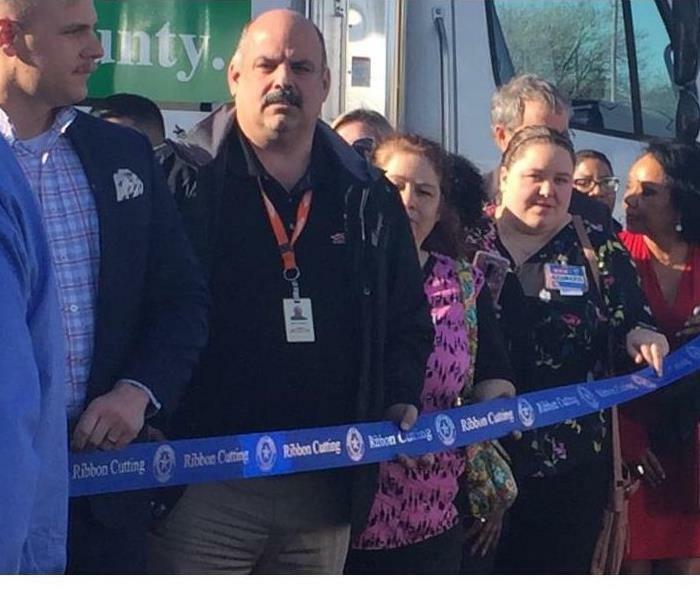 SERVPRO of Galveston Island / Lake Jackson SMM Keith Thompson participated in the ribbon cutting ceremony with members of HEB and Kroger and numerous banks. It was probably one of the biggest turn outs for a Ribbon Cutting ceremony for the Texas City area. The role of the Galveston County Food Bank is to feed hungry people. One of the greatest challenges facing economically disadvantaged people is accessing and purchasing nutritional food. Although food is plentiful in the United States, the challenge for social service organizations dedicated to helping hungry people lies in the logistics of securing, transporting, storing and distributing the food. Through the Galveston County Food Bank system, Galveston County has access to allocated USDA food as well as donated and salvaged food, cleaning supplies and personal hygiene products from manufacturers and retail distributors. The Food Bank warehouses bulk quantities of fresh, frozen, canned and dry food products in readiness for distribution to partnering agencies throughout Galveston County, distributing about 7.3 million pounds of food each year. Over 30 agents and adjusters are keeping their licenses current at our July 2018 continuing education classes. Held every month, Keith Thompson our Business Development Manager leads these classes. We are pleased to provide these services to our community! 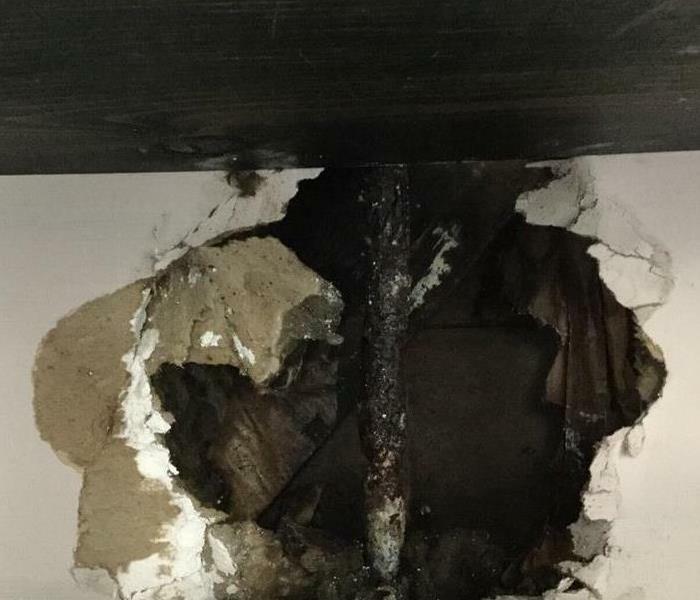 When a pipe bursts in a multi-level hotel it can cause major damage not only to the room where the incident occurred but also to the floors below. 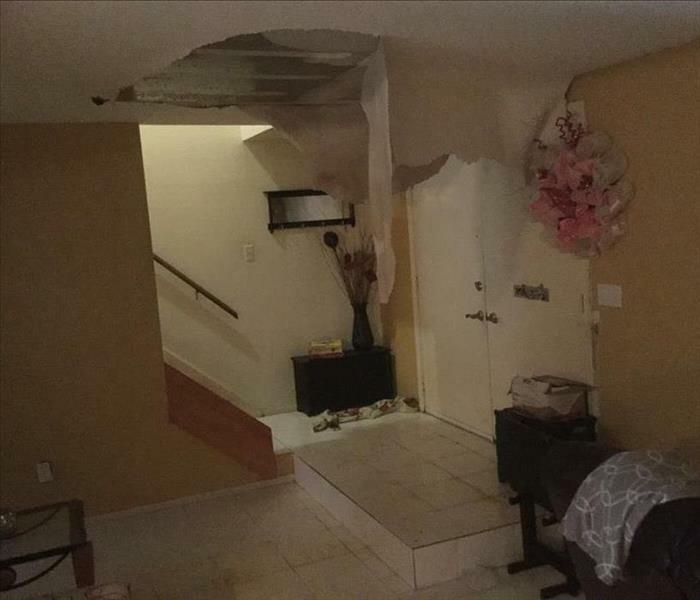 In this case, 4 floors were affected with multiple rooms. 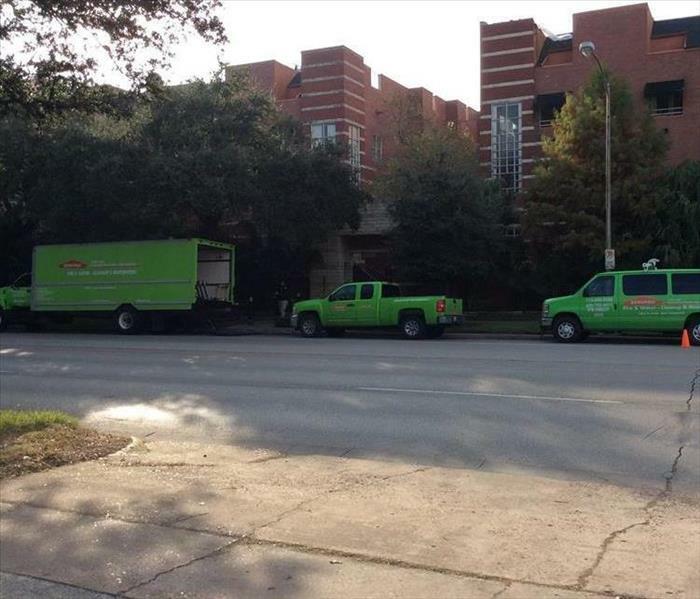 SERVPRO of Galveston Island / Lake Jackson was there in minutes with 2 trailers with many dozen dryers and dehumidifiers. In any commercial application and even more so in hotel and motels, time is of the essence. Remember SERVPRO of Galveston Island / Lake Jackson "faster to any size disaster". Although this is just one photo there was extensive damage to this home. Surprisingly, we here at SERVPRO of Galveston Island / Lake Jackson field quite a few calls from these types of incidents. From water, fire, mold and yes home damage from a car going off the road we are ready and here to help! Randy our Production Manager and Mitchell our Crew Chief are pictured here under water damage from a water leak that was undetected as the home had been vacant for a week. 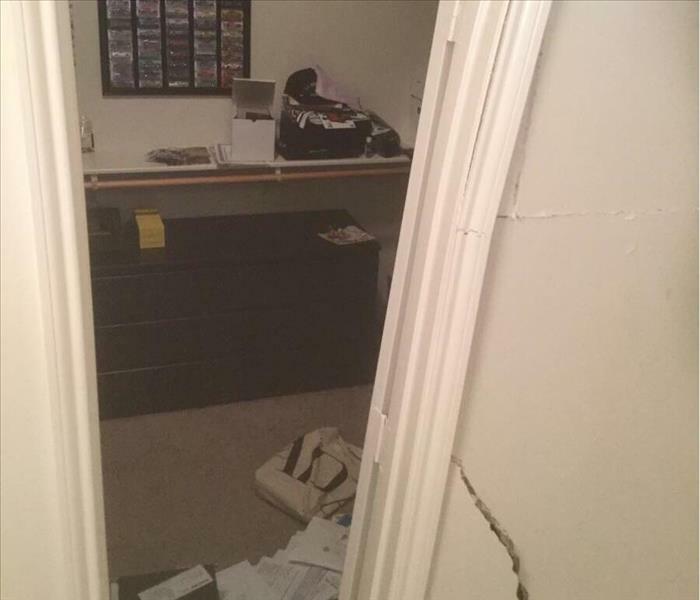 As a result damage to the home is extensive and will require a whole home restoration. SERVPRO of Galveston Island / Lake Jackson "Like is never even happened". Keith is leading the first of two continuing education classes today for our Lake Jackson agents and adjusters. Good turnout and SERVPRO of Galveston Island / Lake Jackson is proud to provide this free service to keep our partners up to date with their licences. It also helps the end customer because these agents will be up to date on all the latest restoration techniques! Historical marker pictured here which is just off the beach from the Gulf of Texas in Surfside, TX. The sidewheel steamer Acadia, owned by Canadians, set out on her maiden voyage in Dec. 1864 for Nassau, Havana, and Vera Cruz. Loaded with food, hardware, and clothing, she braved the Federal blockade to bring the goods to suffering Texans. Early on February 6, 1865, in heavy fog she grounded in sticky clay 300 yards off this beach. Her crew and cargo came safely ashore. When the fog lifted, the foe sighted and shelled her, but could not board and burn the crippled ship, as Confederate Cavalry defended her from the shore. The Acadia then became a coastal landmark. After a water heater leaked for hours while this customer was away their entire first floor flooded. This is the master bedroom however, the restrooms and kitchens were also affected and needed our expertise. 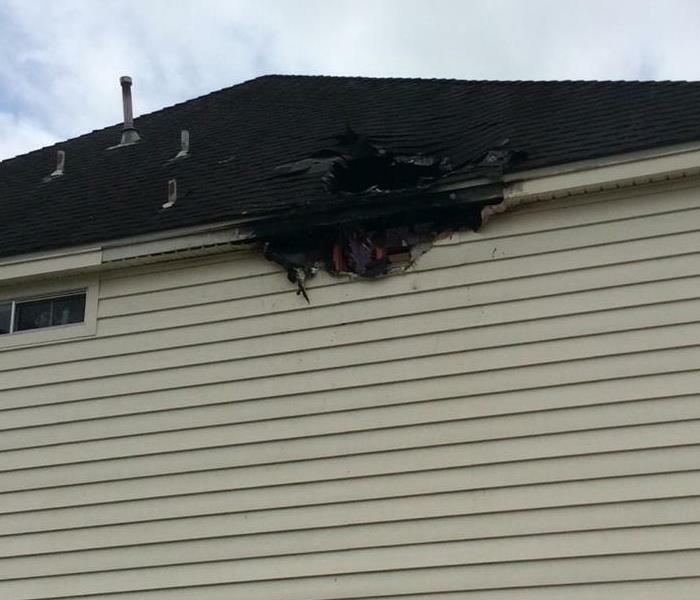 While settling in for the night, customer heard a crack and splash in the attic. It was the usual suspect for us; the water heater. The damage was extensive throughout the upstairs and ceilings on the first flow. Customer was so happy with our speedy arrive and clean up. Keith Thompson our Sales and Marketing Manager led a great lunch and learn for an even better turn out this month for local realtors. It was a great way to meet some local businesses owners and introduce ourselves to the community! 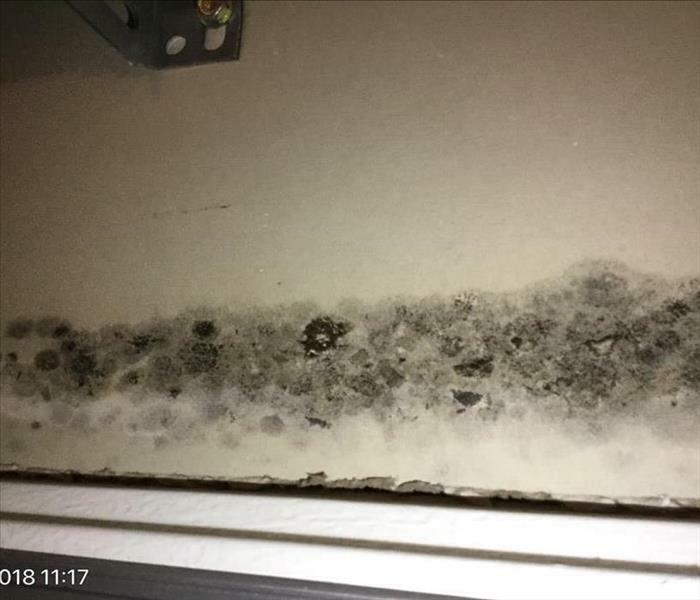 Mold can sneak up just about anywhere if the conditions are right. This customer had a slow leaking water heater above his garage and before he knew it, black mold surrounded his entire garage ceiling. After briefly stepping away from the stove a grease fire was responsible for this damage as well as soot damage to the kitchen as well. SERVPRO of Galveston Island / Lake Jackson was quick to the scene and had the home back to normal in no time. 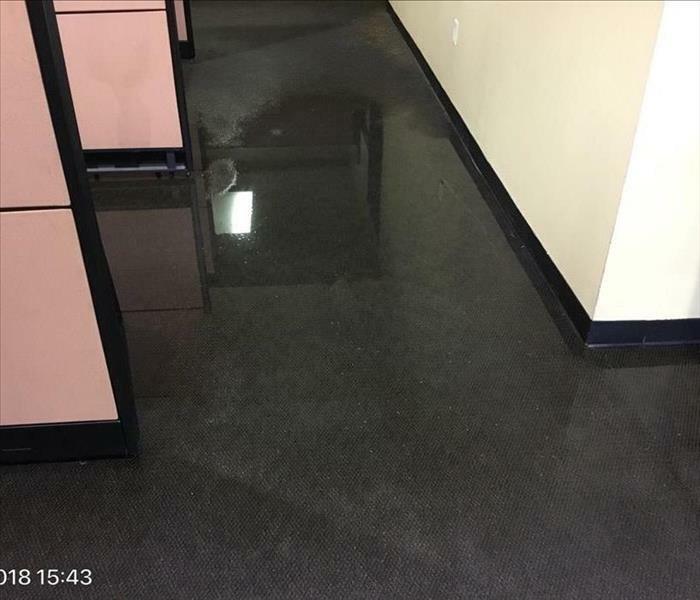 After a long 3 day holiday weekend and a suspected leaking toilet, this government building has over 3,000 square feet worth of water damage. In less than 30 minutes SERVPRO of Galveston Island / Lake Jackson was on the scene and completed the work in less than 3 days. If you have had any long term moisture problems in your home, it is most likely that they will lead to mold. 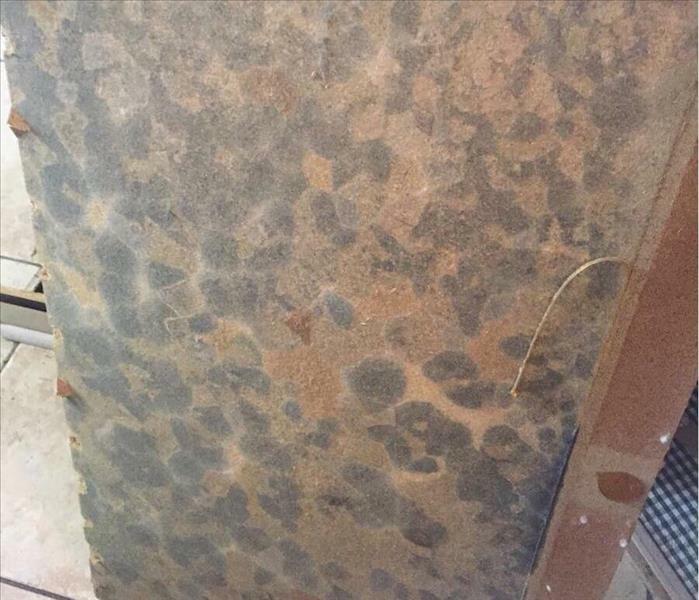 Moisture and heat are the two main components in mold growth. It happens to all of us, we turn something on and forget about it. In this case it was a grill. 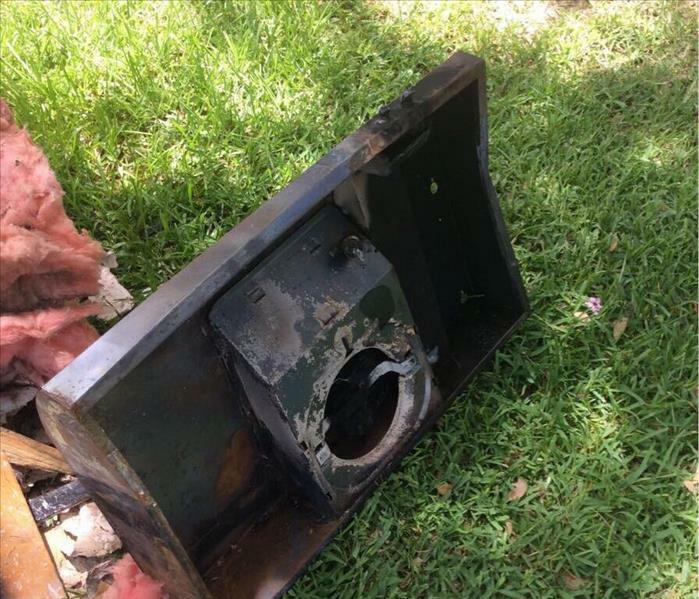 Don't leave your stove, stove top, or yes even your your grill unattended! 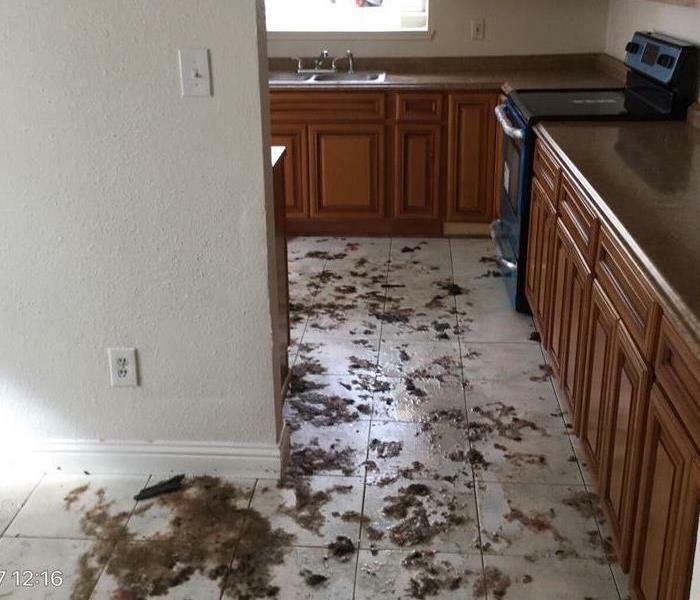 But even when this happens SERVPRO will be there to make "Like it never even happened." Hampton Inn & Suites in Galveston, TX. Not only is there water to see on the seawall, but there was flooding water rising through the building. 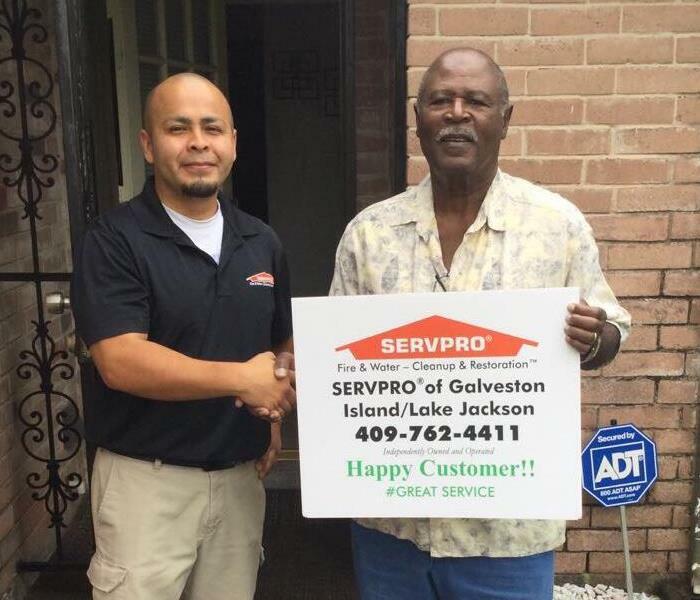 SERVPRO of Galveston Island / Lake Jackson had them fully operational in no time. Customer never thought this was possible, but it happens more than you may think. Lighting strikes are 4th in the cause of house fires in the United States. 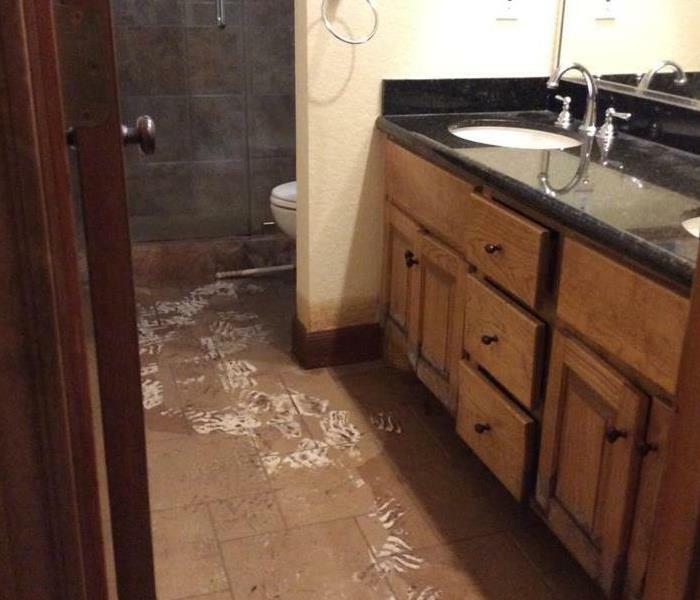 SERVPRO of Galveston Island / Lake Jackson made it "Like it never even happened." Customer woke up to a devastating scene which they which was a dream. SERVPRO of Galveston Island/Lake Jackson to the rescue during a windy stormy day. It's rare in these parts but we have the expertise and know how to get the job done! SERVPRO of Galveston Island and Lake Jackson Sales Team: Keith and Kayla with the Texas City Fire Department. Our caring sales reps make meaning relationships with the community to help better serve you. 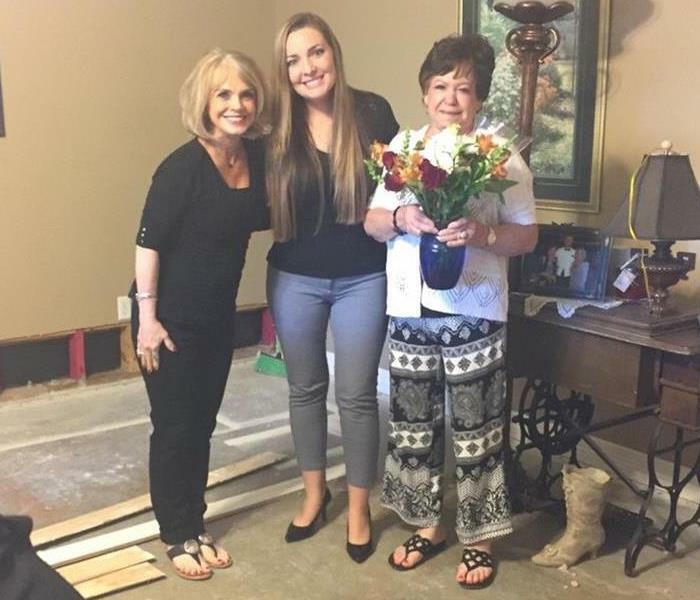 Our great sales rep Kayla brought flowers and a cupcake to realtor Gladys Brooks for her birthday, this is a photo taken of them on Gladys's special day. Our great sales rep Kayla serves the Galveston, Lake Jackson, Dickinson, Santa Fe and Clute areas. Here she is with the owner of Ramirez Construction and is adorable baby! Customer contacted SERVPRO of Galveston Island/ Lake Jackson. To help assist on the damages after a windy stormy night. Customer had huge gulf ball sizes in their room, broken window. SERVPRO cleaned up the mess the homeowner couldn't believe how quickly and completely we were able to clean. 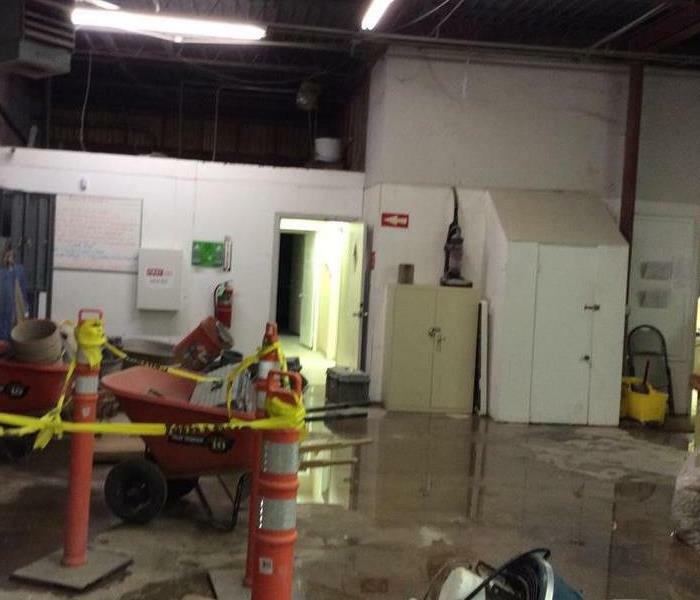 SERVPRO of Galveston Island/ Lake Jackson was called out to help extract over 3 inches of standing water inside of a warehouse. That made is way in after the Brazos River overflow. 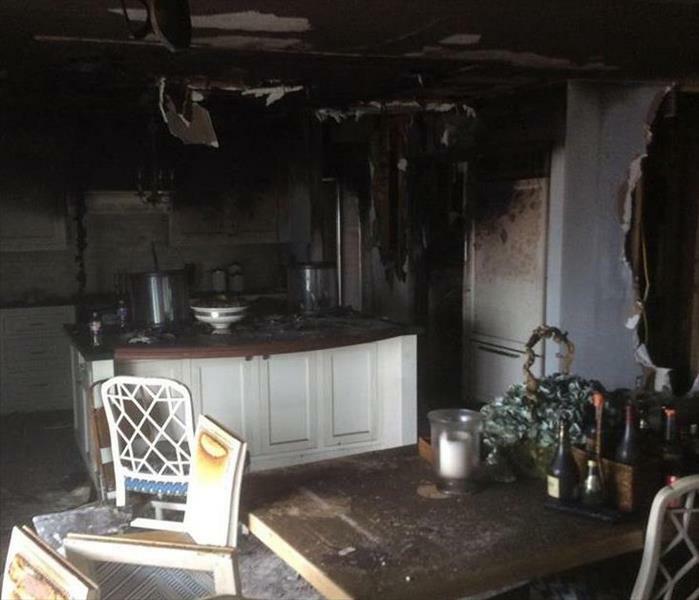 This was the aftermath of a kitchen fire in Lake Jackson. When we arrived to the customer home we quickly set about removing damaged material and cleaning the affected areas. 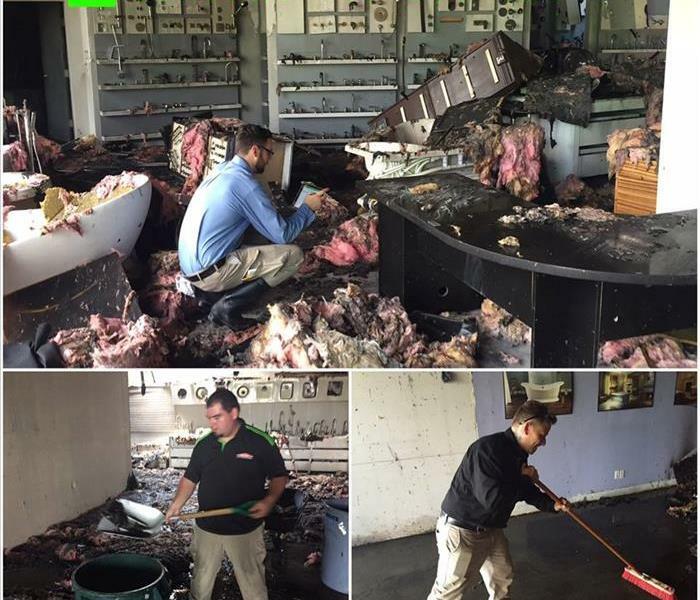 SERVPRO of Galveston Island / Lake Jackson technicians responded to a fire clean up and pack out in Clute, Texas. We responded quickly and had boots on the ground in no time. 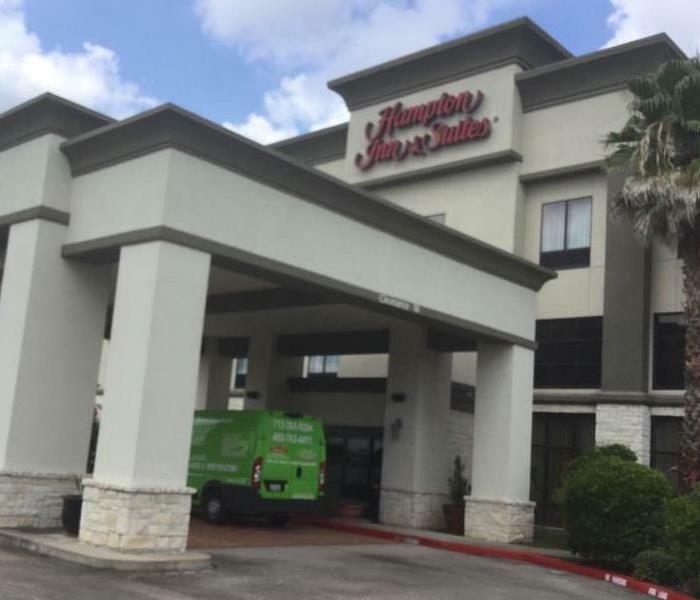 SERVPRO of Galveston Island/ Lake Jackson was called out to an Apartment complex in Lake Jackson, Texas. To help assist on a nightmare of mold growth on a vacant unit of theirs. SERVPRO of Galveston Island / Lake Jackson was called out to help assist on a mold issue. 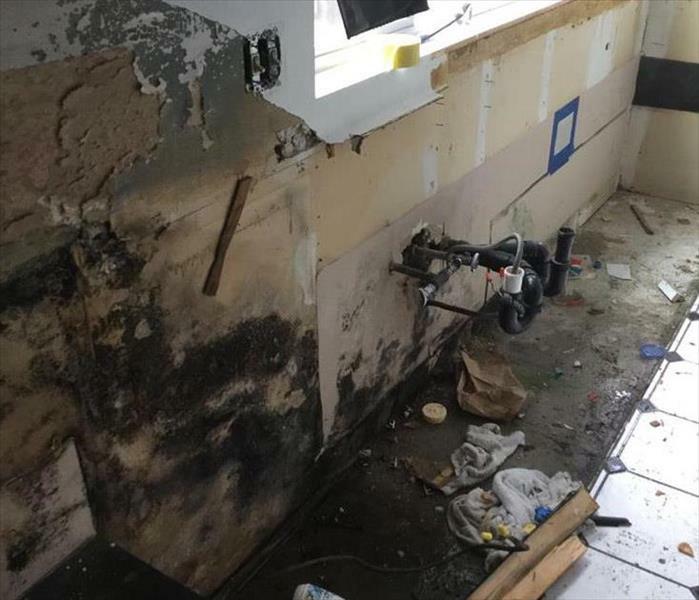 The customer noticed mold present after water overflowed from underneath her kitchen sink and immediately called our team. Country Gulf Club contacted SERVPRO of Galveston Island / Lake Jackson for a professional cleaning to their outside duct vents. Our technicians our fully trained and licensed to handle any size job! 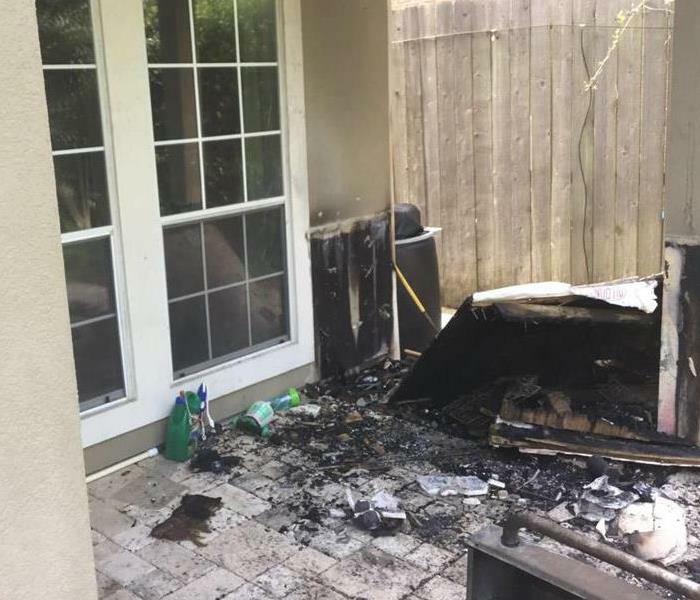 Customer contacted SERVPRO of Galveston Island / Lake Jackson after an electrical fire they had at one of their vacation beach rentals. The damage was quite extensive but was no match for our professional technicians. 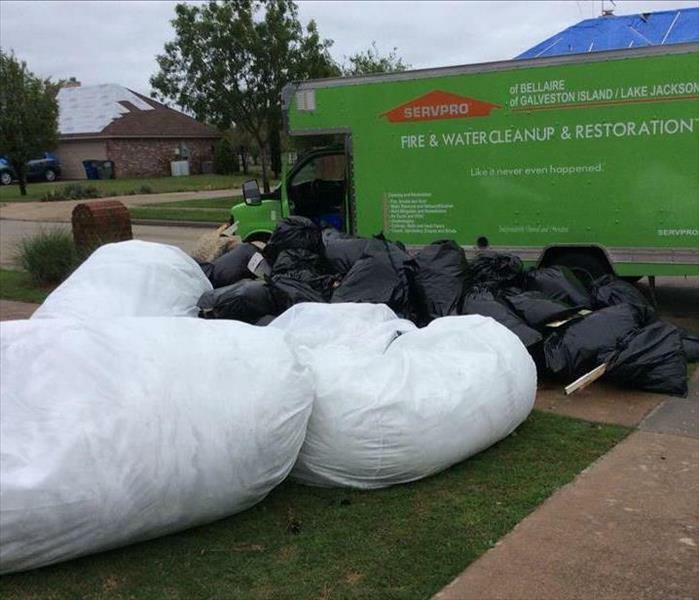 Customer from Danbury, Texas contacted SERVPRO of Galveston Island / Lake Jackson for a professional clean up. After their home was flooded from the Brazos River overflow our team was fast on the scene to get this customers life back to normal. 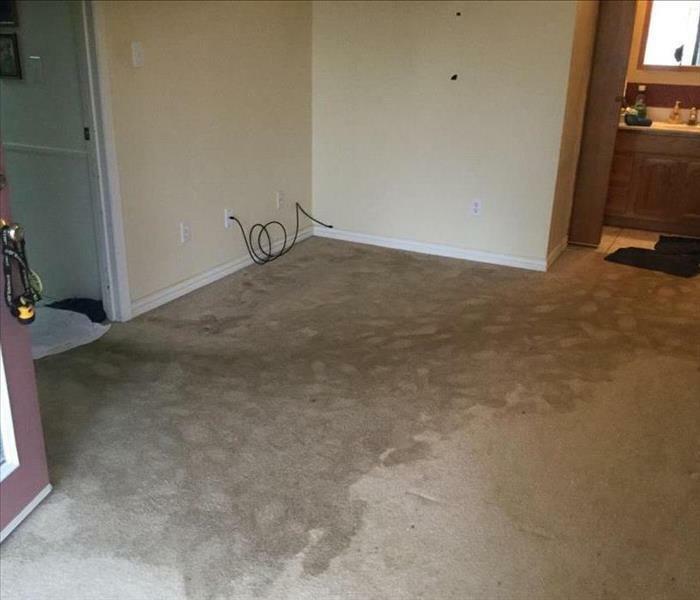 This photo was taken during a water loss job completed by SERVPRO of Galveston. 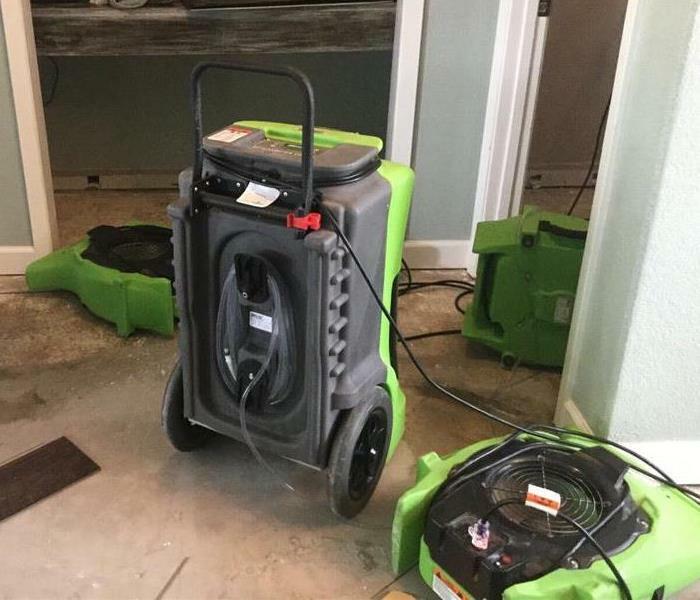 The photo shows the equipment used by the team of water restoration specialists at SERVPRO of Galveston Island to restore the property, after the loss, which affected several rooms in the customers home. This SERVPRO of Galveston Island / Lake Jackson customer experienced a major storm and water loss when the roof of her home collapsed in spots dumping rain water in the room. 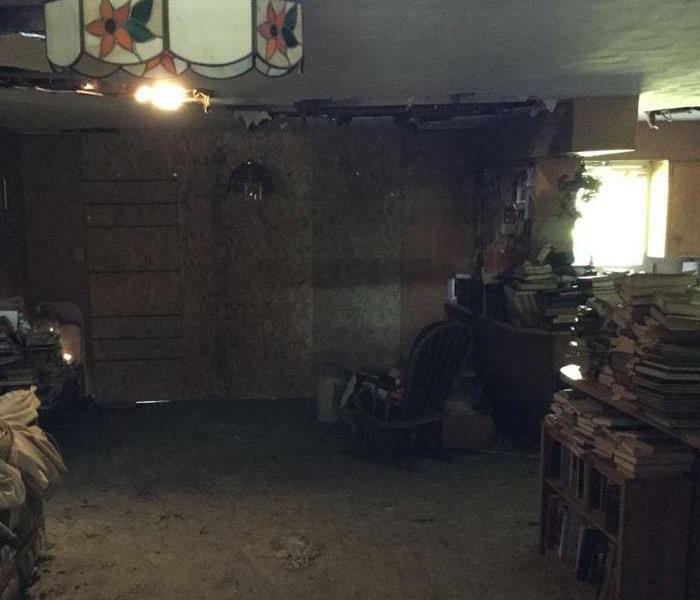 This home owner experienced water damage when a storm dumped rain on her property. 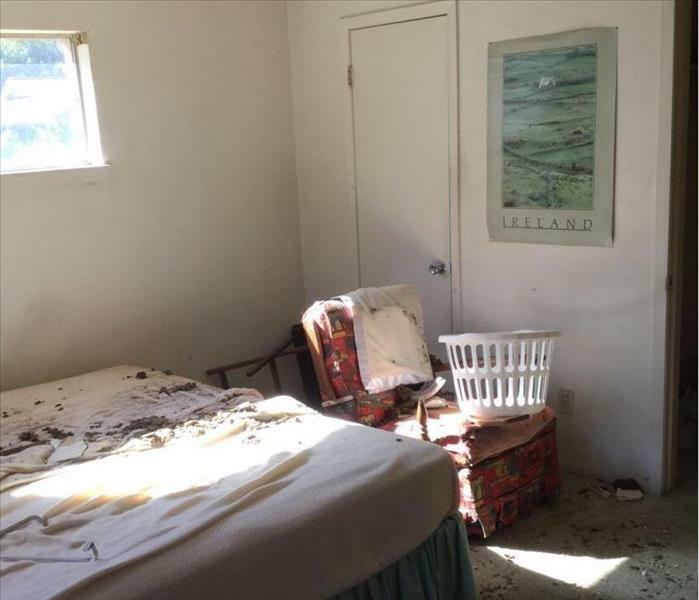 The room came down in some places and soaked the property. The team cleaned and secured the property and contents. This is a photo taken by the SERVPRO of Galveston Island / Lake Jackson of a home in Freeport, TX. 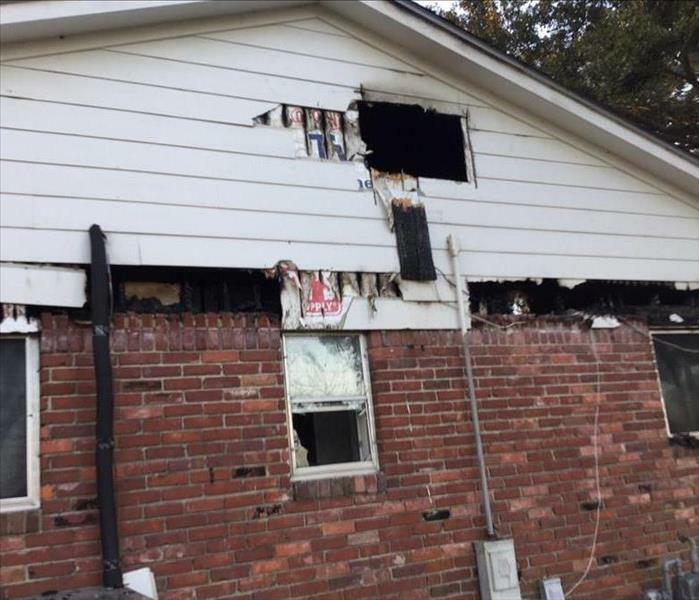 A significant portion of the home was burned in the fire leaving the home exposed to the elements. 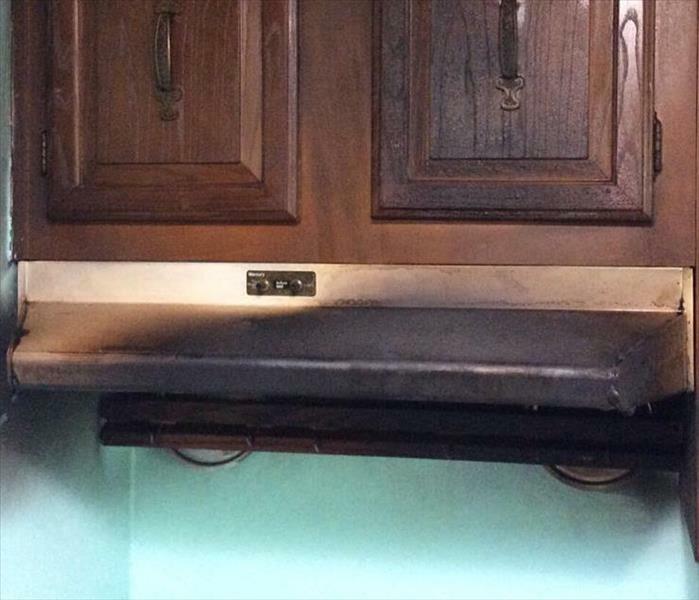 This SERVPRO of Galveston Island / Lake Jackson experienced a house fire, which burnt a significant portion of the customer's home. The team had to remove a lot of material from the home to begin the restoration process. This SERVPRO customer called because they suspected there was a mold problem affecting their kitchen and several other rooms in the home. 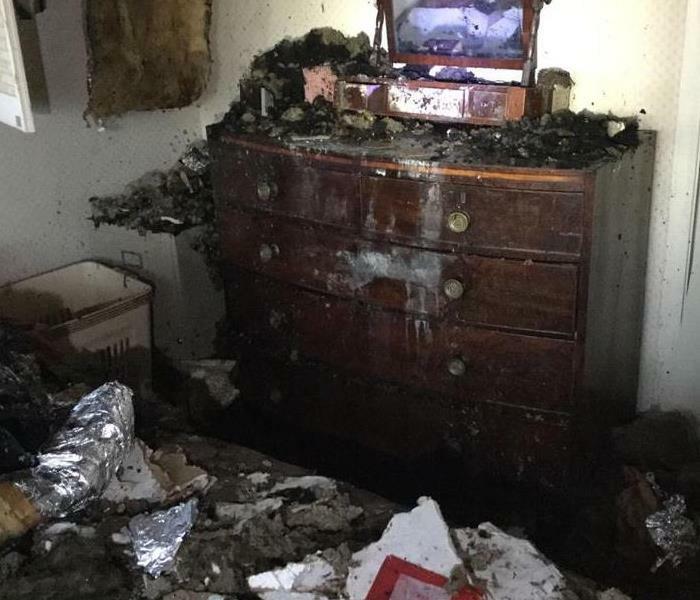 The homeowner's fears were confirmed by the team, but they were able to complete the mold remediation helping the customer get back to life "like it never even happened." 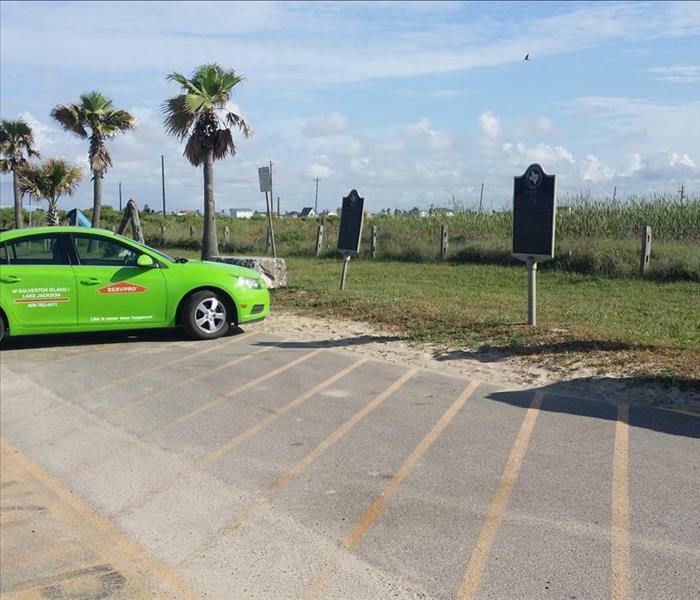 This is a photo taken with a happy SERVPRO of Galveston Island / Lake Jackson customer. 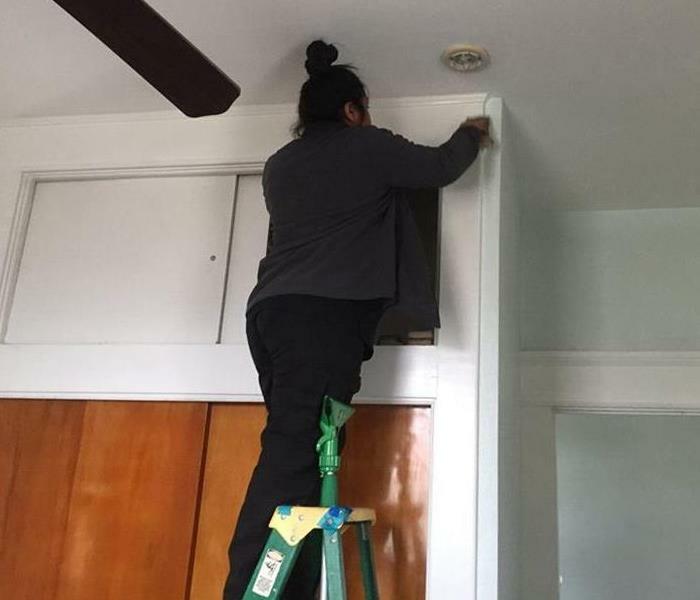 The customer experienced a water related loss, but the team of professionals at SERVPRO of Galveston Island / Lake Jackson restored the homeowner's property, "like it never even happened." 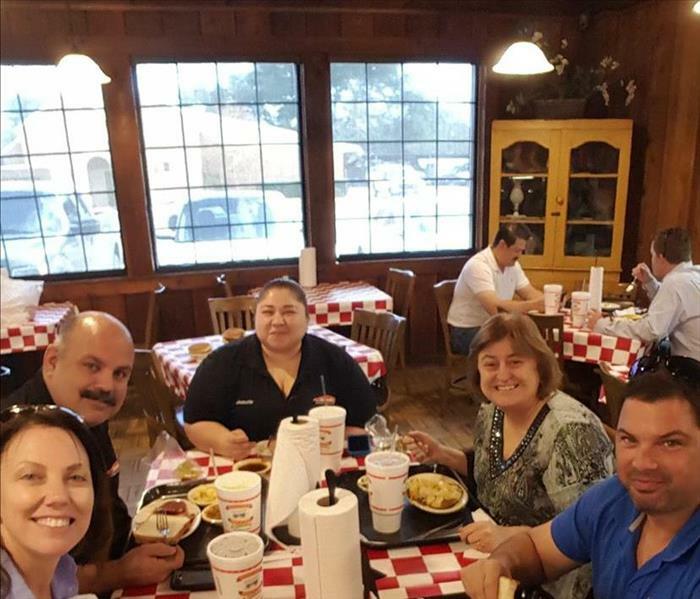 The exceptional hard working SERVPRO of Galveston Island / Lake Jackson team enjoying some quality time together at a company lunch. 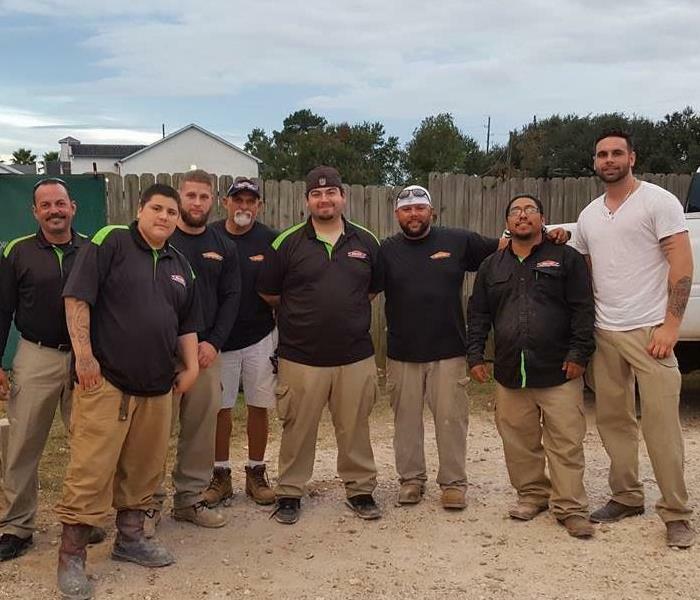 The SERVPRO of Galveston Island / Lake Jackson team is dedicated and works hard to provide excellent customer service, so they enjoy having an opportunity to spend some time together during company sponsored events. Our sales Manager Keith with a happy SERVPRO of Galveston Island / Lake Jackson customer after the SERVPRO team completed their job. The team is dedicated to making every customer happy and helping restore their property "Like it never even happened." 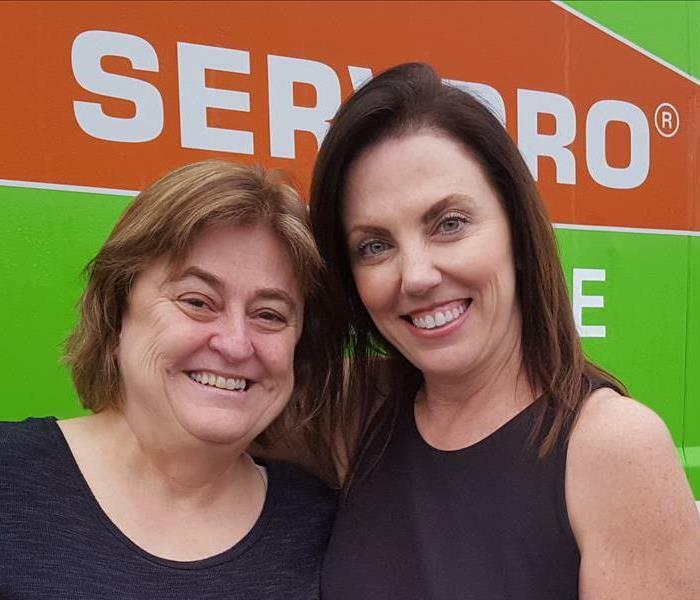 This is a photo of SERVPRO of Galveston Island / Lake Jackson owner Kristina and office manager Sandy. Both Kristina and Sandy are dedicated and hard working they work long hours to ensure safety and customer satisfaction. Our hardworking SERVPRO of Galveston Island / Lake Jackson ready to enjoy the our Thanksgiving Feast after a long day of working to make customers happy and restoring properties for property owners. 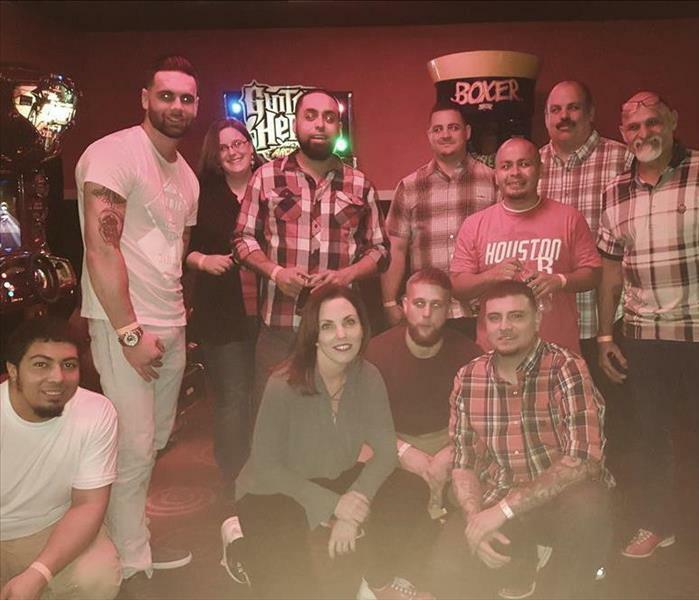 This is a photo from the company Christmas Party at AMF Bowling. The team had a great time bowling and socializing at the party. They are very dedicated and deserving team. SERVPRO of Galveston Island / Lake Jackson production managers Randy, Ken and Nick enjoying themselves at our company Christmas party. 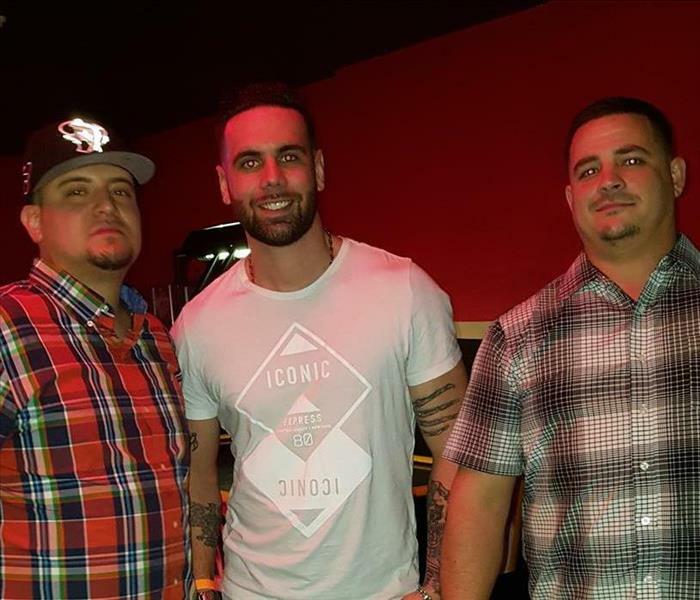 These guys are hard working and truly deserve the great time they had socializing at the company Christmas party. 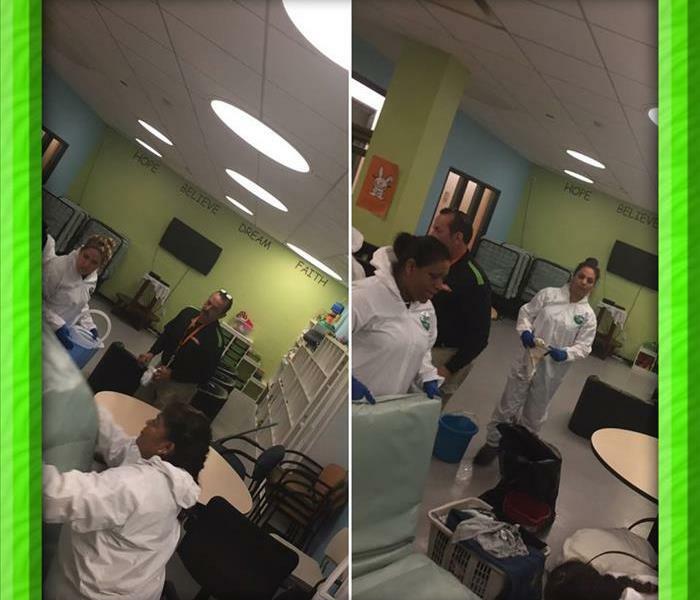 These pictures show the SERVPRO of Galveston Island / Lake Jackson completing a commercial biohazard cleanup job. Notice the workers wearing their biohazard suits. This is just one of the measures SERVPRO of Galveston Island / Lake Jackson takes when completing biohazard cleanup jobs. 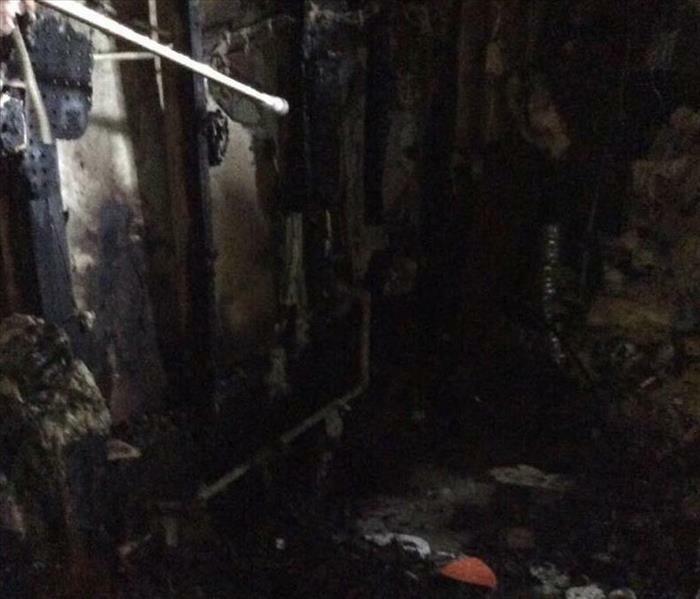 A commercial building was in need of fire and water clean up after experiencing a fire. Our wonderful technicians Gino, Sean and Ken got the job done, making it look "Like it never even happened." 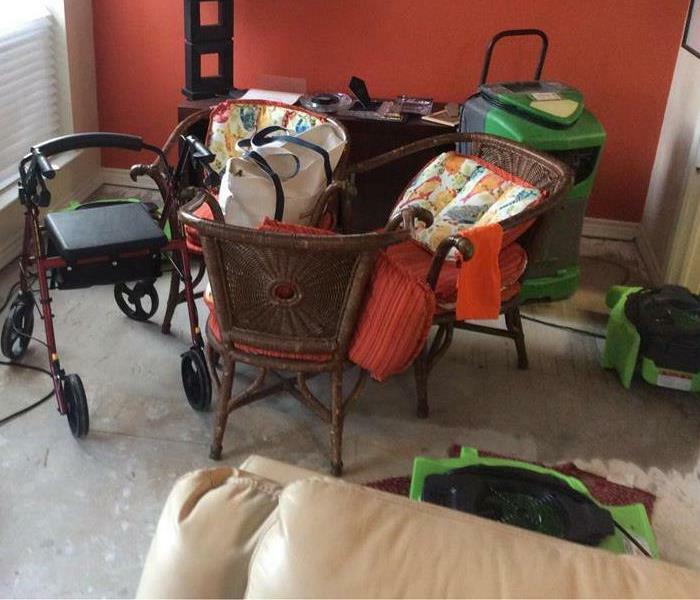 A SERVPRO of Galveston Island/Lake Jackson commercial customer needed assistance with packing and cleanup. 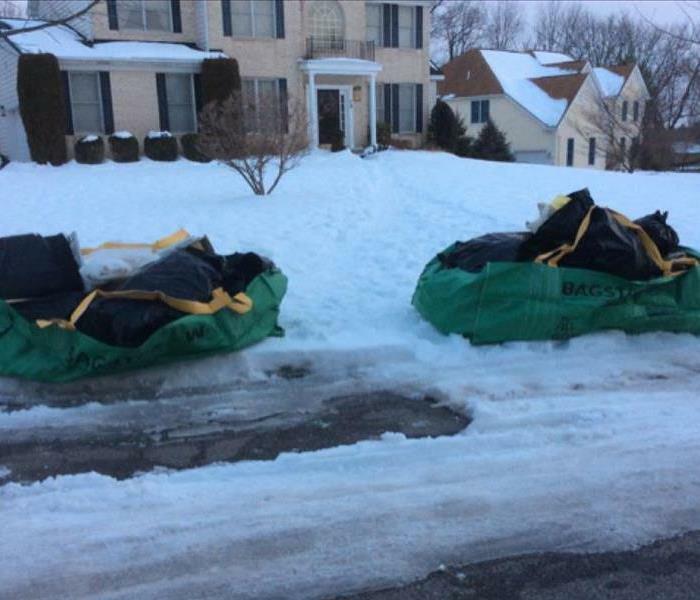 The team is on-site to assist the customer with their cleanup and packing needs. 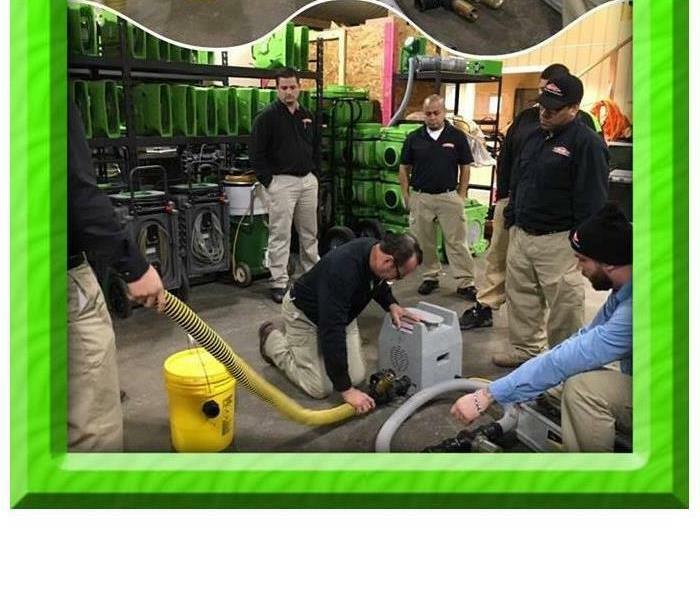 In this photo the SERVPRO of Galveston Island / Lake Jackson Production managers are giving a training on how to use the injector dryer equipment. 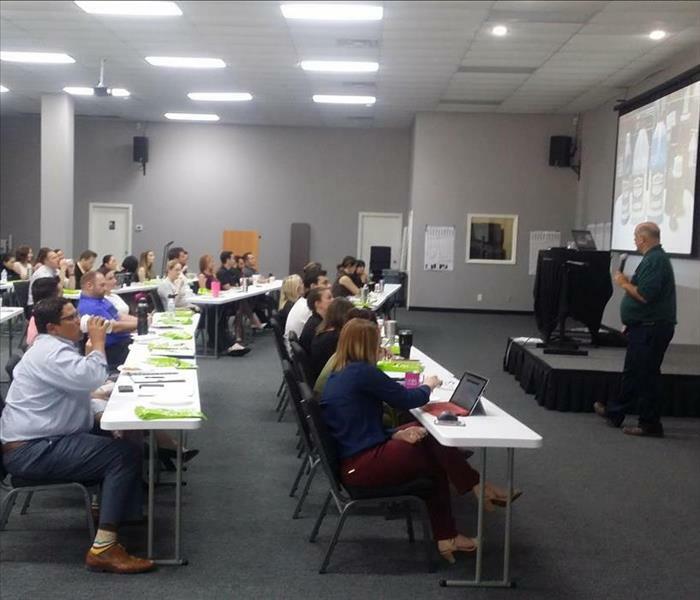 Training is an important part of being a SERVPRO of Galveston Island / Lake Jackson Team. Green Ready provides asbestos and lead abatement that are primarily focused on a safe and healthier environment. Using environmentally safe products makes us green and being available 24/7 make us ready. Green Ready can handle any size abatement. 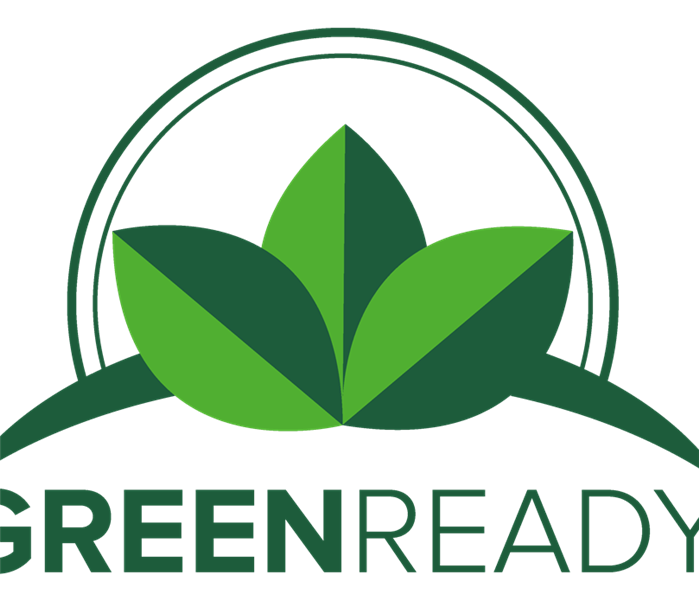 If you need any lead or asbestos abatement work done please give Green Ready a call 281-342-1972 or visit us at www.greenreadyinc.com. 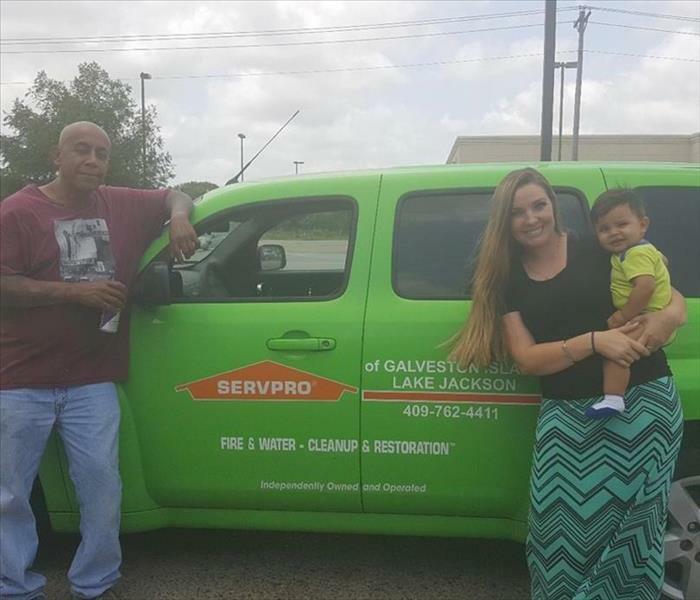 New SERVPRO of Galveston/Lake Jackson vehicle. She is pretty, it comes with a special mounted piece of equipment called an extractor. Basically an industrial carpet cleaner and water removal tool that packs a punch! 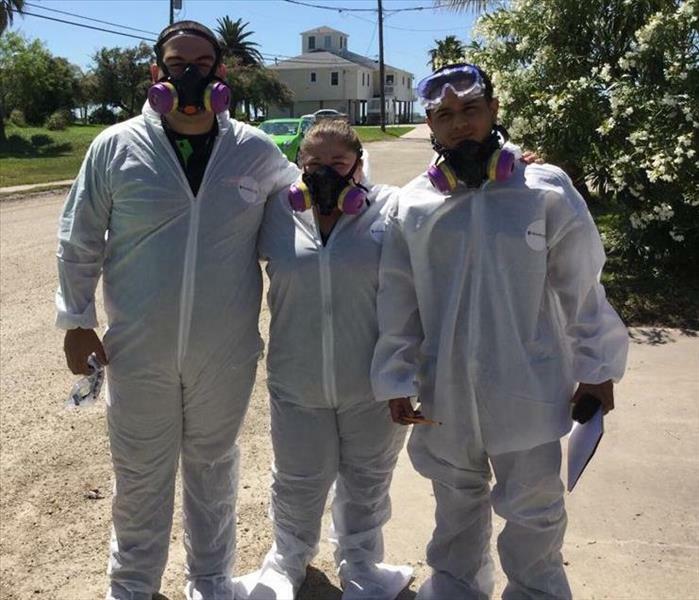 These members Gino, Jeanette and Nathan of the SERVPRO of Galveston Island / Lake Jackson team are suited up for a biohazard job. Team members must follow strict guidelines to keep themselves and the public safe when completing biohzard cleanup jobs. 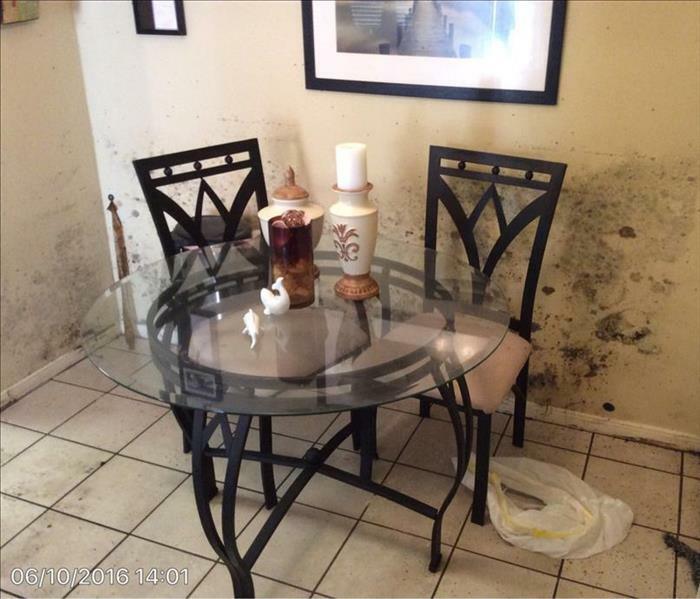 SERVPRO of Galveston Island / Lake Jackson was called to handle this mold problem at a local apartment complex. The team professionally completed the mold remediation job minimizing the potential health hazard faced by the families living in the units.